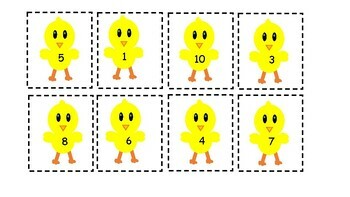 Printable includes two number activities. 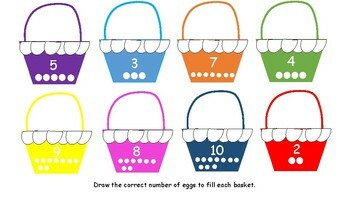 First, draw the correct number of eggs in each basket. 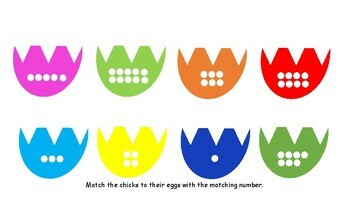 Second, cut out the chicks and match them to their egg!